Recovering from an eating disorder can take a village — family, friends, healthcare professionals, and nonprofits, all working together to save a life. 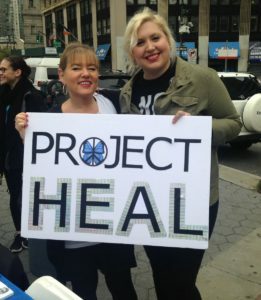 One of the nonprofits doing such lifesaving work is Project HEAL, founded in 2008 by two teens — Liana Rosenman and Kristina Saffran – who have recovered from eating disorders. To date, Project HEAL has helped over 100 folks get eating disorder treatment through grants/scholarships. Resources are provided by Project HEAL’s HEALers Circle, which encompass centers such as Renfrew, CIELO House and Walden. Project HEAL’s work is vital because for so many, getting help from eating disorders is prohibitively expensive – $20,000 a month or higher. The Project HEAL site features testimonials from folks whose lives have been changed by the generous contributions they’ve received. “The grant from Project HEAL provided me with the opportunity to receive treatment for my decade-long eating disorder,” writes Stephanie, “something I couldn’t have afforded on my own. Receiving treatment undoubtedly saved my life, gifting me with hope in a future filled with self-love and a healthy body image I never imagined was possible to achieve.” The nonprofit also offers group support and one-on-one mentorship via the Communities of HEALing program. What is so special about this program is that the mentors have had eating disorders themselves, and therefore, know firsthand what their mentees and support group members are going through. For those who just want to learn more about eating disorder recovery in general, there is a lot of information on their blog, about things like eating disorder myths, self-care, and the beauty industry. We have personally become involved with Project HEAL by partnering with their website. You can get an Eat Kale and Cupcakes hoodie, shirt, or tank, with the knowledge that you are doing something really amazing to help people in need. The money from the merchandise goes to raise money for scholarships for eating disorder treatment, and free shipping is part of the deal! We are proud to say Project HEAL raised approximately $3800 through our items, all of which go to help the cause. There are so many other ways to support this fantastic cause too, whether you choose to give your money or time. Volunteer, be an ambassador, social support mentor or intern, start your own chapter, donate (as little as $50 can make a difference), or attend an event. 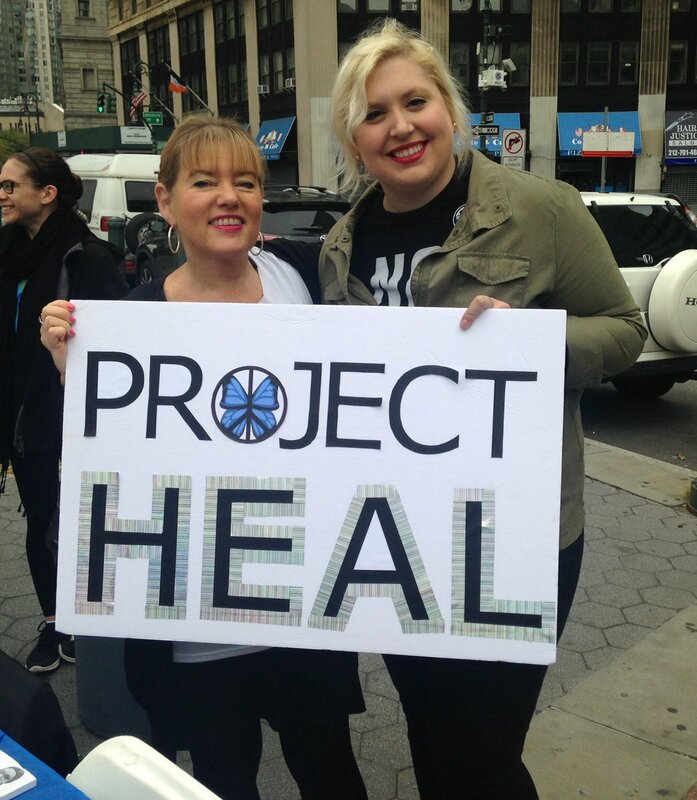 Keep an eye out for Project HEAL events across the country like Body Project Facilitator Training in Massachusetts, the Great Gatsby Gala in Denver (both March 2nd), and Camp HEAL, at the Angeles National Forest in California, September 27-29. It will be the premier year for this camp, described as “an enrichment retreat that celebrates eating disorder recovery, body positivity, mindfulness and self-care.” It is not meant to provide treatment, but fun and inspiration to folks who need it. Workshops and activities will adhere to a “Healthy at Every Size” outlook, and will include yoga, mindfulness, writing, art,, archery, cooking, hiking, swimming, a talent show and more. Liana and Kristina will both be appearing as special guests, and some financial aid is available. We hope you will check out this awesome organization and get involved in some way. Folks who need eating disorder help should never be denied just because they can’t afford it, and we are so happy that Project HEAL is doing their part to connect folks with that treatment and their future.